After a summer of dressing in capris and yoga pants with LONG tops, I am ready for the arrival of fall and the crisp air. Okay, so the colder weather I am not a fan of BUT I do love my jeans and boots. With the comfort of jeans comes the age old question: How can you dress up your jeans and feel fashionable when you head out for work, a day with your girlfriends or a night on the town? Yup, I struggle with this all of the time. The answer is in the accessories which is what changes your basic denim to a fashion statement! When choosing jeans for evening, it’s important to start with the right silhouette. Luckily, two denim cuts leading the way for fall are flattering on all body types – especially in a dark, saturated wash. 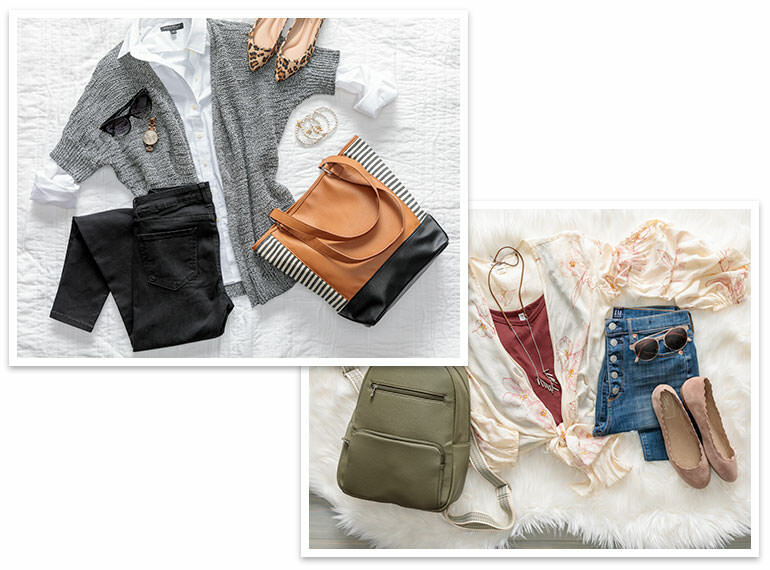 Your tried-and-true skinny jeans are as hot as ever and look great balanced with flowy, feminine tops. Layer on a long necklace, drop earrings and stacked bracelets for some nighttime sparkle. In addition to skinny jeans, you’ll also see more trouser-like silhouettes this season. This cut gives you some creative leeway with opportunities to rock key details like contrast stitching, polished hardware and chic pleats. As a general rule, trouser-style jeans look best paired with a more fitted top tucked in. Finish off your party look by dressing up your jeans with the perfect pair of shoes: Pumps add evening elegance and take both skinny and trouser jeans up a notch. If you are wearing jeans to the office,, you want a pulled together professional look. Work-appropriate jeans are usually the darker wash the better – or try one of the dressy, deep-hued colored washes big this fall. No, frayed or distressed jeans, or jeans with embellishments like studs. A closed-toe pump is a solid choice for work, as is a pointy-toe flat if you’re on your feet a lot. Then add a tucked-in button-up shirt in a crisp white or a soft pastel or stripe. Roll up the sleeves a bit to show off a bracelet or add a blazer for a quick easy way to complete the look. Be strategic with pops of color and NEVER more than one eye-grabbing pattern per outfit. A foolproof accessory is a lightweight, rectangular Avenue Scarf or one of the many accessories offered in Thirty One’s Bright & Bold collection. Since we often carry a laptop between the office and home, the new Colorblock Tote is a great option. Its structure and smaller scale make it office-worthy while still providing the roominess you need. For a day of brunching and shopping with your gal pals, start with a pair of high-waisted skinnies and patterned flats. Add a dressy tunic or feminine peasant top in one of the deliciously rich hues that the Pantone Fashion Color Trend Report for Fall/Winter 2018 says will be big this year, like Red Pear, Martini Olive, Ultra Violet or Quetzal Green. For holding all your finds while browsing those markets and boutiques, we love a statement bag like our slouchy but structured Around Town Tote. These bags come in an equally scrumptious palette of solids and patterns to pull your whole look together, and you can add your personal stamp with a monogram or Icon-It. Date night with your special someone? Try a sophisticated pair of trouser jeans in a dark wash. Fall fashion shows in the spring were also showing tuxedo stripes on jeans, which is another fun way to dress up your denim look for evening. Dressing up your jeans with a peep-toe bootie/sandal hybrid with a chunky heel is perfect for transitioning between seasons, and you can switch to a full bootie later. You’ll want a fitted top so you can layer on a leather-look moto jacket, and then bling out the whole ensemble with a statement necklace, earrings and a bracelet or two. Think small for your bag; choose something like a wristlet or clutch for your phone and lipstick and such. Remember: For evening, it’s all about the fun details. Need some ideas? 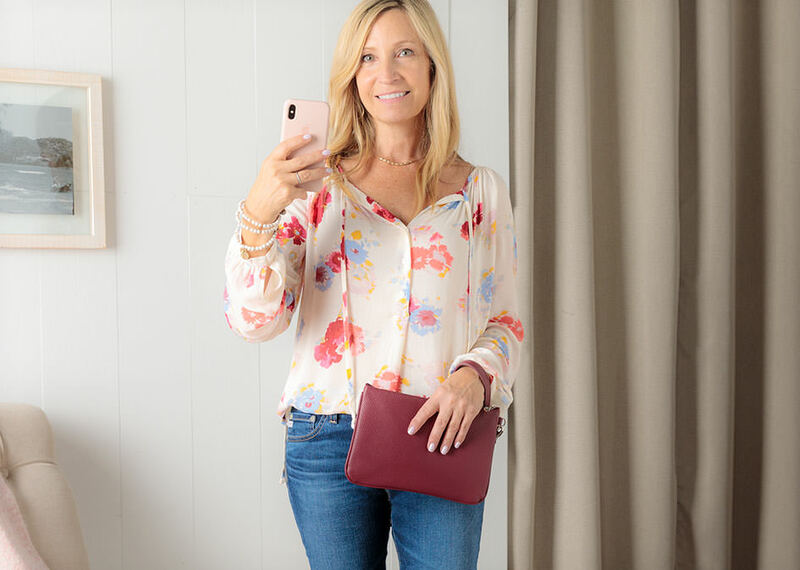 Try our best-selling All About the Benjamins wallet with a matching Wristlet Strap, then dress up your whole outfit with an on-trend Fringed and Fabulous Necklace and a pair of shiny Luxe Loop Dangles earrings. Whether you’re heading to work, a day out with friends or a night on the town, have fun dressing up your jeans for a casual yet ultra-chic look. And be sure to check out all the amazing handbags and accessoriesThirty-One Gifts has designed to help you bring out your own personal style! Next ›Are You Missing One of These in Your Business?